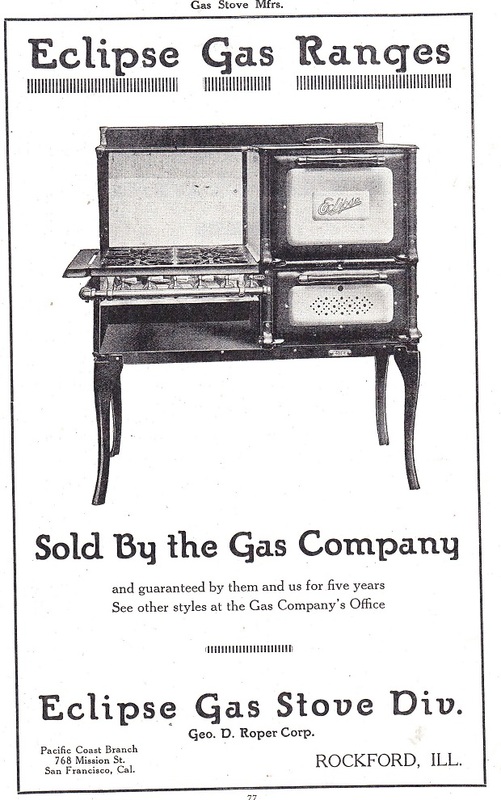 Roper, George D. Corporation, (Eclipse Gas Stove Division; Trahern Pump Division; American Foundry Division; Rockford Vitreous Enamel Mfg Division) George D. Roper, President; Mabon P. Roper, V-President – Treas. ; John P. Curtin, V-Pres. ; Watson E. Derwent, V-Pres; Harry J. Jilbert, V-Pres-Gen. Supt., 707-709 S. Main St.